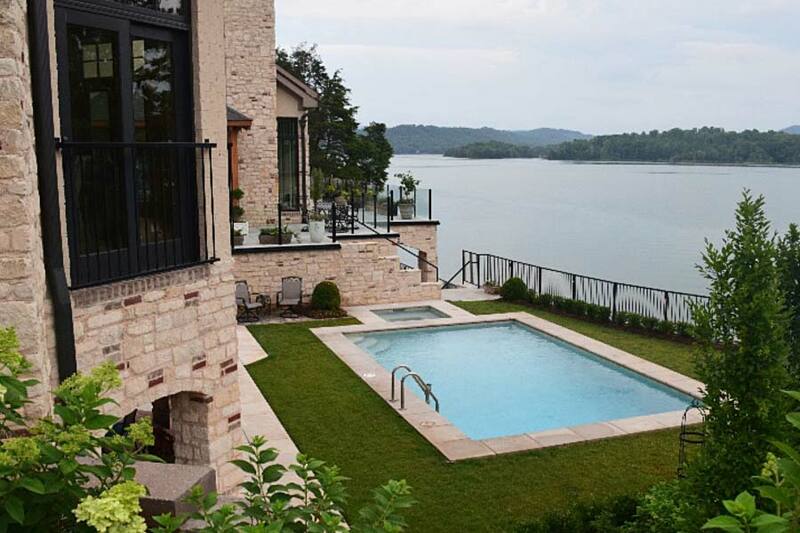 Earthadelic has had the pleasure of working on this waterfront home in Morristown. Numerous features have been added to the property, beginning with the addition of retaining walls to create level space. Next, a plunge pool was added with natural stone pool coping, and finally the landscape was finished off with dozens of different flower installations. 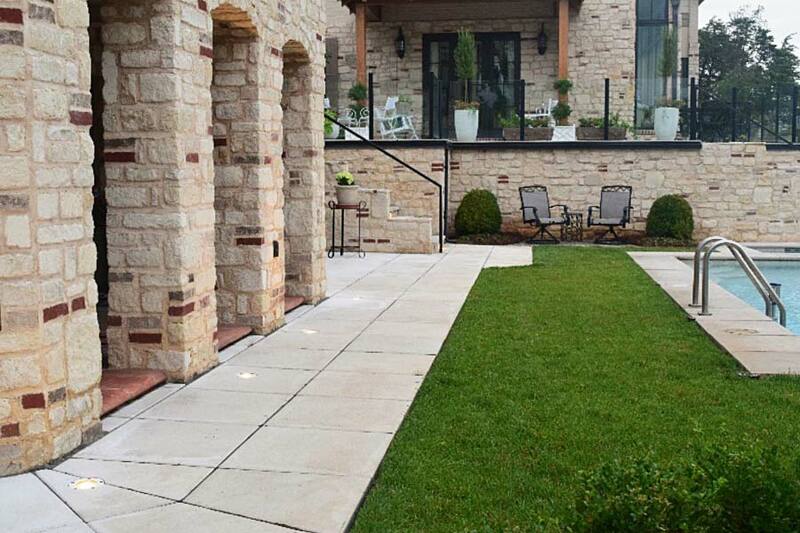 The turf surrounding the pool deck is a natural turf blend, which adds to the classic garden look of this home. Recessed lighting was installed throughout the property in places like staircases, walkways, around the pool, and in gathering places. The space comes to life and is even more beautiful when the sun sets. 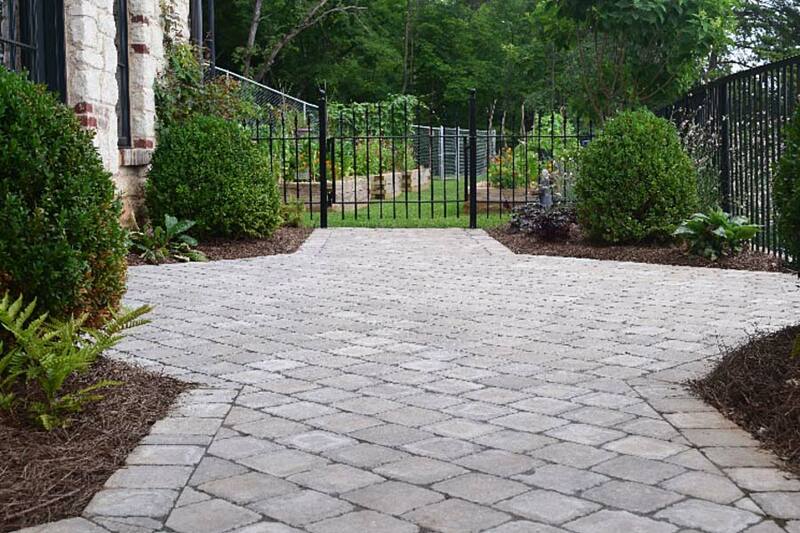 These classic cobblestone pavers run through the entire property, connecting each garden and adding a timeless sophistication to the landscape. This project includes multiple secret gardens and outdoor reading nooks, each with their own theme and selection of plants. 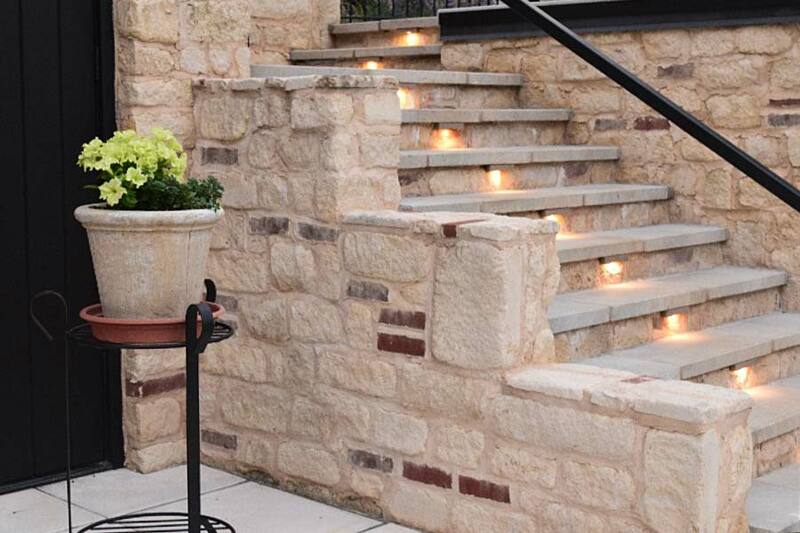 Planters are a beautiful contrast to areas with a lot of stone work. 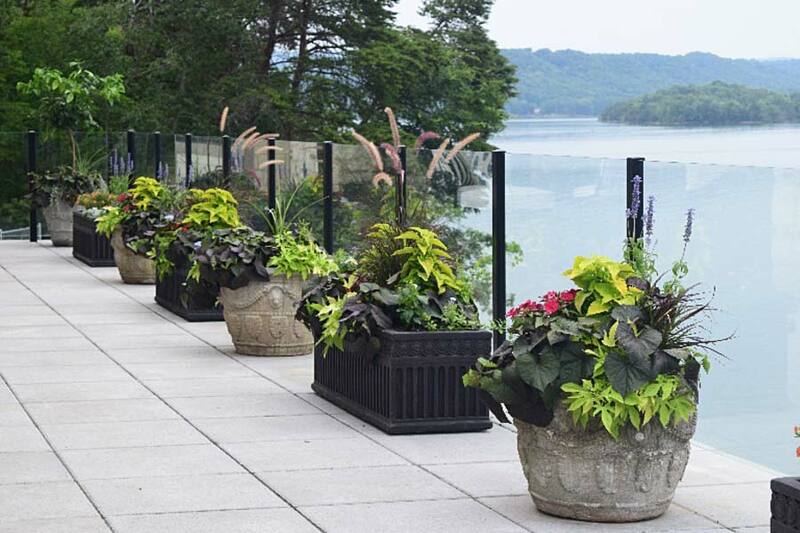 These custom designed planters sit on a patio overlooking the lake on the second floor. 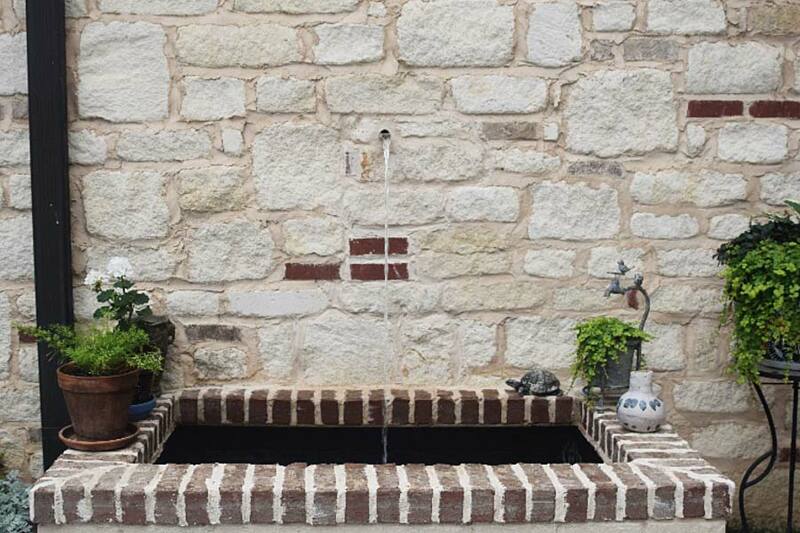 The enclosed courtyard is a gathering space that surrounds the gentle sounds of water from this simple yet elegant Italian inspired fountain. 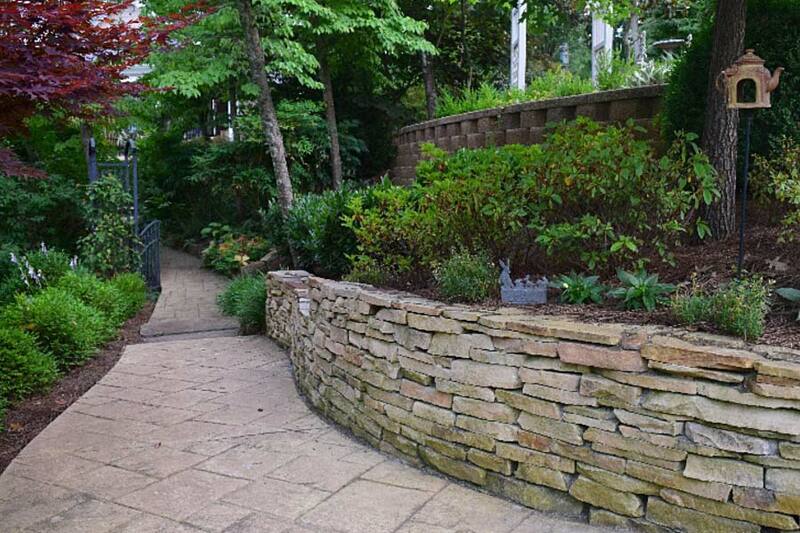 Landscaping this property was no easy feat. Earthadelic handled the entire design and installation of the multi-acre project. 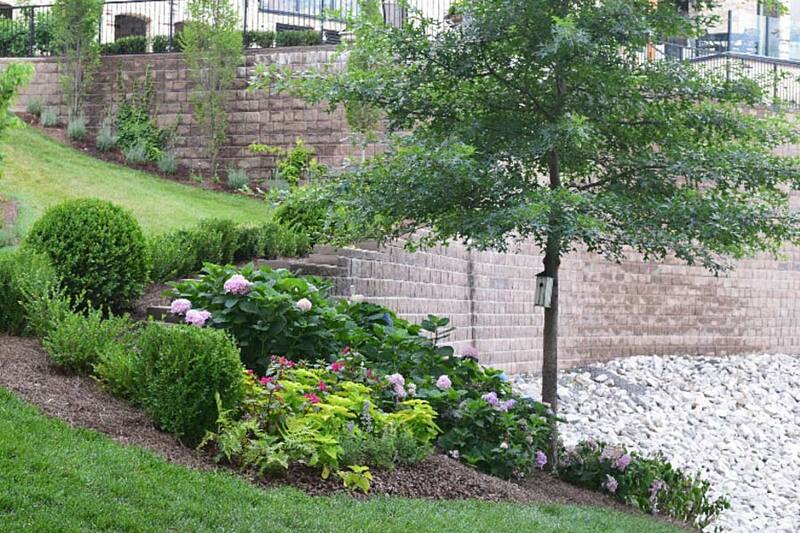 We work with the homeowners to maintain and upkeep this beautiful oasis, from lawn care to seasonal irrigation service.